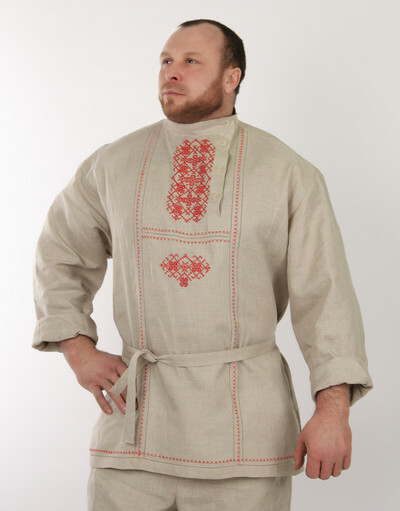 Kosovorotka or rubakha is a traditional Russian shirt, which has long sleeves and has a length up to mid-thigh. The kosovorotka shirt may have some button only on the collar, and is usually quite closed to protect the body from any damages or insects. 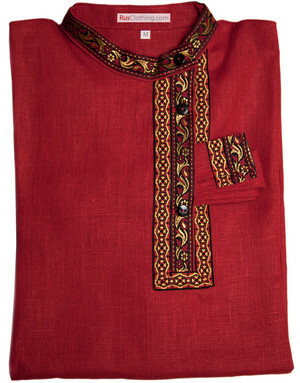 Traditionally kosovorotka was worn by peasants, but then a lot of tradesmen liked this type of shirt as well. 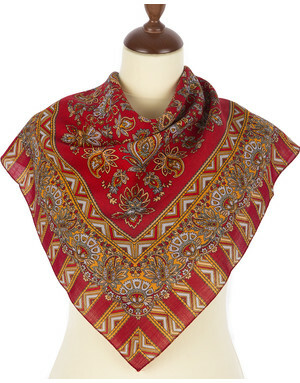 Tolstovka name of the shirt comes from Russian writer Leo Tolstoy who customarily wore one. 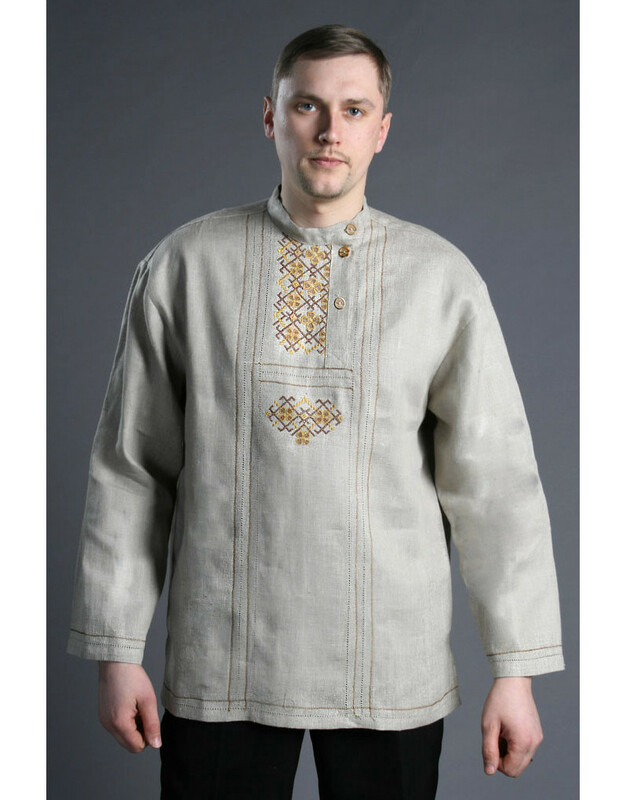 This true rubakha style - Russian shirt is made of high quality Russian linen and highlighted with traditional handmade embroidery on the chest.